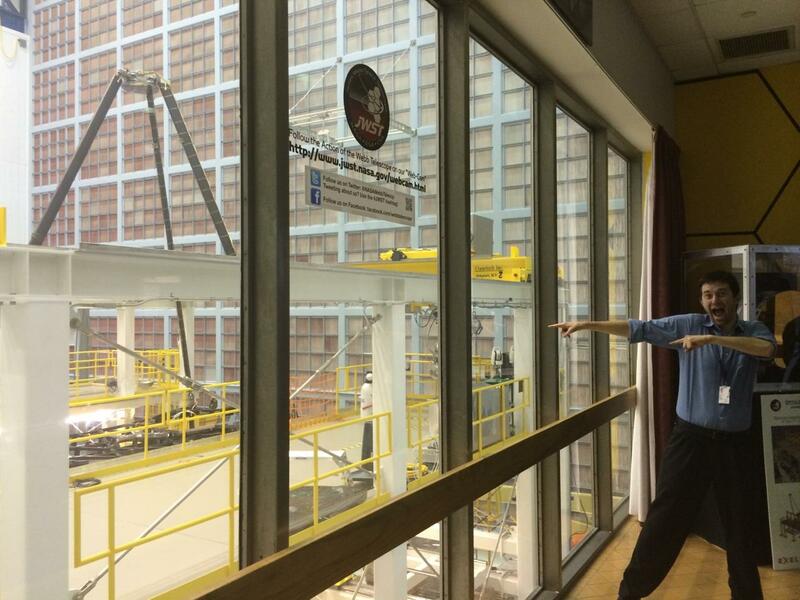 Occasional Blueshift blogger Amber Straughn is currently working on Hubble’s 25th anniversary celebration. Currently working for her as an intern is Carl Clark. Carl has written the following blog for us about himself, getting to work on Hubble, and his general love for NASA. Enjoy! I am Carl Clark, a graduate student at Texas State University. 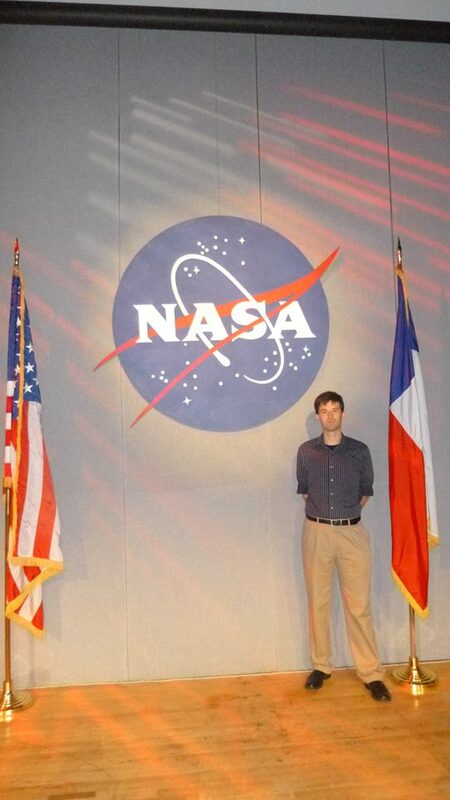 In late July I was given the once-in-a-life time opportunity to come to NASA’s Goddard Space Flight Center. My job is to work on the social media preparations for the Hubble Space Telescope’s 25th anniversary. Hubble was launched on the Space Shuttle Discovery flight of STS-31 on April 24, 1990. The gold of the solar arrays, illuminated from behind by the sunrise, provides stark contrast to the blackness of space in this scene, photographed at the completion of the servicing of the Hubble Space Telescope (HST). Arching between the telescope and one of the solar panels is the thin line of Earth’s atmosphere. Since I was a teenager in Texas and learned that Hubble’s mission operations were at NASA Goddard, I have wanted to come here. Also I have always wanted to work in NASA communications – and I was excited to find myself invited to come to Goddard as an intern. Now I am producing content about the magnificent stories of Hubble and the incredible people who run the program. 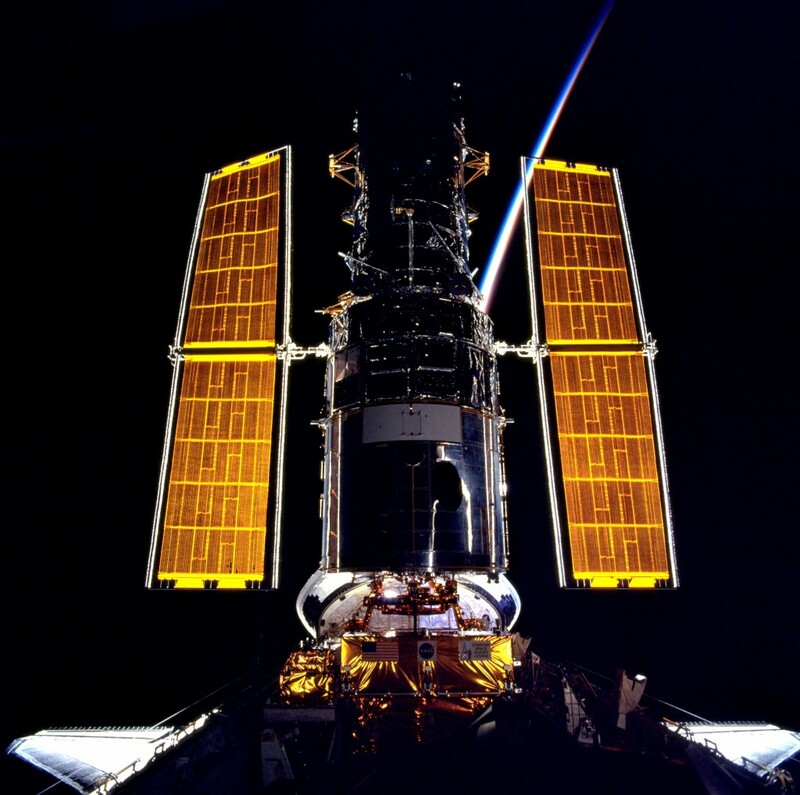 Each story tells a different part about Hubble’s servicing missions and general operations. Then there are thousands of images from the Hubble and also from the Shuttle. This is where my art background comes in. Being a painter helps me to use things like the rules of composition and color theory to pick out the most attractive Hubble images for use on our social media. I’m composing tweets with these images so that NASA will have an abundance of content to use during the anniversary this spring. NASA/ESA and The Hubble Heritage Team STScI/AURA), George Herbig and Theodore Simon (University of Hawaii). Before I get too far down the rabbit hole, you may ask how did I go from San Marcos Texas to NASA Goddard, all the way over in Maryland? Waking up at noon on a Monday in July isn’t a bad place to start. On that morning I was recovering from being sick with a stomach bug. Along with this, there’d been job hunting and, specifically, hoping for that great graduate assistantship at a tutoring center in Texas State University’s Library. A break in my luck seemed due, but did not seem forthcoming. I slowly wiped the sleep from my eyes and checked my email. Phone interview for possible NASA internship. Nothing… Wait, go back, WHAT!!! My heart started to beat more than a little faster. What is this? I hadn’t applied to Goddard for months! What does the rest of it say? Please set up an interview tomorrow. The next day during the interview I find out what the internship is for. 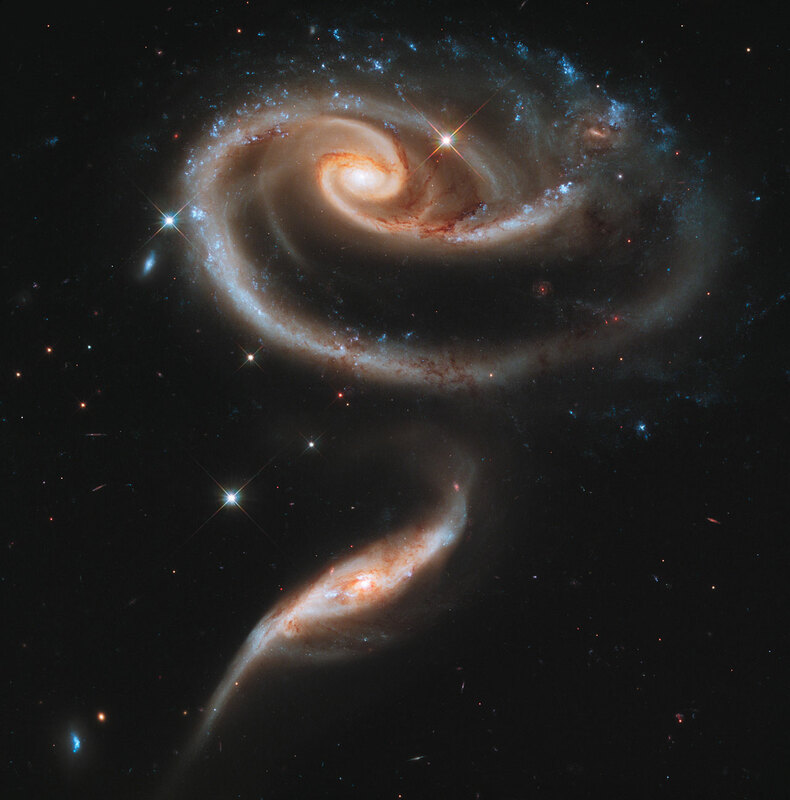 It’s working on the Hubble’s 25th Birthday, Holy cow, the HUBBLE! I truly couldn’t believe it. The Hubble is a jewel in our scientific crown, something I talked endlessly about as a tour guild at Space Center Houston. A one-of-a-kind legendary tool, with a story like no other – and I might get to work on its anniversary celebration. The interview goes well… I think? I hope? Wait and see. At the bottom of the page, there it is: the accept button. After pursuing a return to NASA for a year, it seems they finally wanted me back for The Hubble Space Telescope 25th Anniversary Social Media Outreach internship. With shaky hands I hit the accept button. My emotions completely overwhelm me. The road ahead will not be easy, the work will be hard, a new place, new people, and new ways of doing things. All of that I know, all of it I am looking forward to. The one thing I am looking for the most but cannot find is a person, my mom. I was two years out of college when she died. On one of my visits to the hospital I told her that going to work for NASA would be next to impossible without returning to school. She simply smiled at me and said, “You’ll make it – I have this feeling and I believe in you.” After my mom passed I returned to school to get a masters degree and began the pursuit of becoming a communicator for NASA. I got into Texas State’s school of Mass Communication and Journalism. It is a college close to my dad and where my brothers went. I stayed in contact with people I knew at Johnson Space Center and Space Center Huston, to help point me on the right road. Looking back there are a lot of people who are responsible for what has just happened to me. So many moments of encouragement, keeping me honest, pushing me when I need it, giving me support to pursue my dreams. Still none as much as her, my mom, who is not here but yet is responsible all the same. Now, at Goddard I have spoken with world-renowned scientists who discuss the very fabric of existence. I even met the head of NASA, Charlie Bolden – and I am helping to plan the most epic birthday party ever for Hubble. As many good birthday parties go, this one includes a fair number of surprises. So far things are in the planning stages, but some great stuff we have never seen before will be part of this celebration. So keep an eye on the horizon. One thing I have been asked to do is to focus on Hubble’s story up and to this point, and its cultural significance. Take for example the film “Thor”. He very adorably mispronounces Hubble as Hoobble. While I loved this little plug in the film, it took a very nice scientist and engineer to point out the movie didn’t explain much about Hubble, it didn’t need to. Just that only its name and little more was necessary. So ingrained it is in our cultural minds, that we know what it is and does, just by name. Look at the game Skyrim. The leveling system looks like Hubble images. Are they? 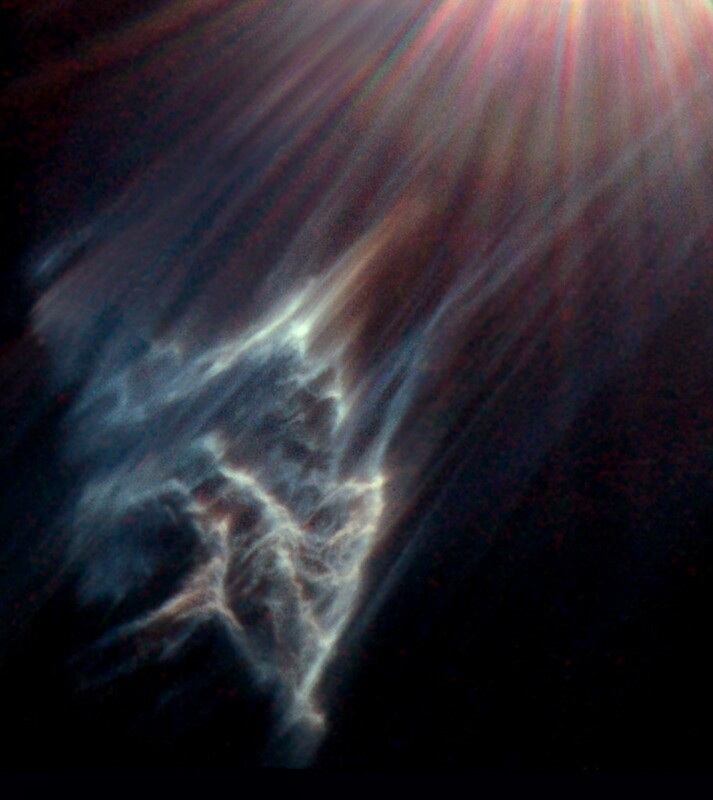 No, but we would not know to color space with vibrant clouds if not for the Hubble. The progression of the visual portrayal of space can be traced to the discoveries of the Hubble. Hubble’s story is not just a story of popular culture but of national and global culture. It is more than the sum of its parts and what it was originally intend to do. It touches our institutions of science and learning. It touches artists and storytellers who color our collective vision of existence and the human experience. It touches each and every one of us who look to the night sky and dream about what is out there. For me, the answer to Carl Sagan’s question, “How many roads did we have to cross before we found our way?” is “Many!” The grand journey of fostering awe and curiosity has only just begun.